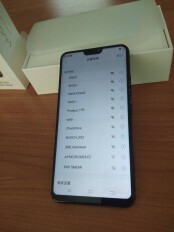 vivo's upcoming V9 has been leaking since last month, when it showed off its screen notch on a billboard in Indonesia. The phone will get an unveiling in India on March 27, but it will apparently be introduced in Thailand first, on March 22. 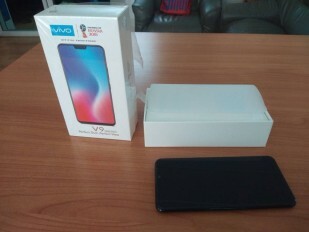 Ahead of those events, some more hands-on images have leaked, showing the phone and its retail box. Furthermore, a purported list of specs originating at an online retailer is doing the rounds. The vivo V9 is allegedly going to feature a 6-inch 1,080x2,160 AMOLED touchscreen with Gorilla Glass 5, the Snapdragon 660 chipset, 4GB of RAM, 64GB of expandable storage, and a 3,250 mAh battery. It will have a 24 MP selfie camera, and a dual 12 MP + 8 MP system on the back. It will run Android 8.0 Oreo underneath vivo's own Funtouch OS 4.0. Its dimensions are said to be 155.9 x 75.2 x 7.2 mm, and it's supposedly tipping the scales at 159g. The device is apparently to be priced at IDR 4.999.000 in Indonesia, which right now translates into $349 or €293. 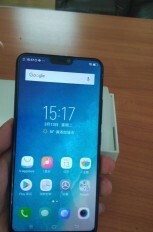 vivo's Indonesian YouTube channel couldn't wait anymore and posted an official promo for the device which shows us its design once again, screen notch included, and confirms the "FHD+" display, as well as the 24 MP front-facing camera for the umpteenth time. vivo X20 Plus UD goes through a scratch test - will that kill its fingerprint reader? you are wrong. it was sharp aquos. Wow. You're right. This is just sad.